This is a lot of (100) ITT Cannon 330-5291-067 Pin Contacts. 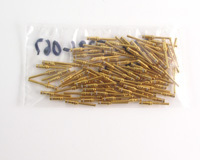 These are size #20, .005 gold grains Troy contacts. 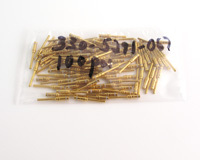 This part number is similar to M39029/64-369.